A&M Photography are one of the country’s leading companies photographing football academies for clubs. With tried and tested methods for capturing young, up-and-coming football stars in action they wanted to increase their client base further into the Premier Division. 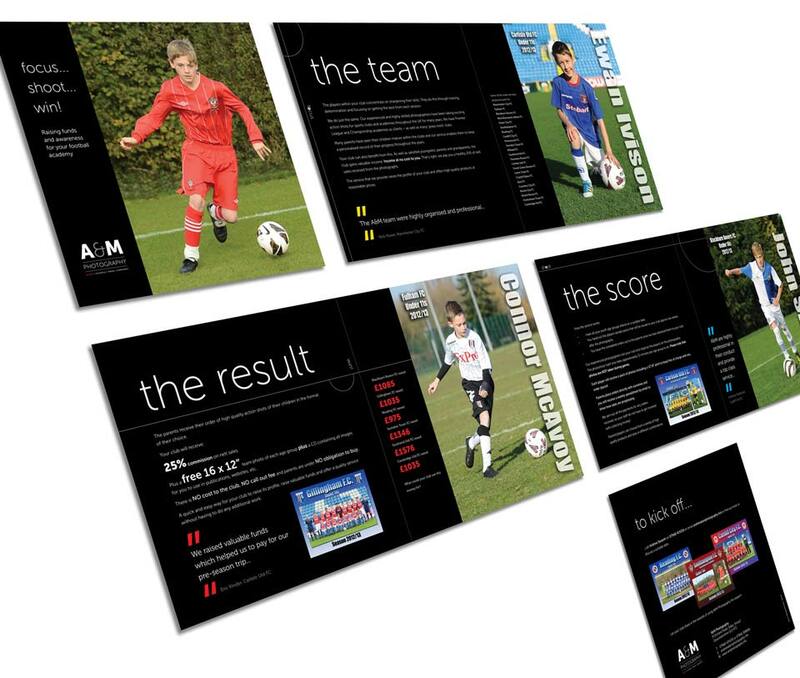 To create a new brochure explaining A&M’s product and the benefits to football clubs with academies. Club academy managers who would like extra commission revenue whilst offering a photographic record of their players to parents. I can receive commission on every photo by simply saying yes to the photography. A&M will do all the organisation, admin, photography and collection of money and I don’t have to do anything except think about how I can spend the income on new kit for the club. The parents will love it! Income from photography of my academy players with no effort from me. A simple, to the point brochure explaining the product and services using well known football terminology was sent out. Two new clubs signed up within the first week with projected fees contributing considerably to the brochure costs. A new identity was created to match the new clean look of the brochure.